Tucson MED Club is an organization that combines pure Americanism with the Middle East traditions of: belief in God, sense of family, love of heritage, and willingness to serve each other. Our mission is to enhance and further our traditions and heritage through social events, charitable giving, and community involvement in the spirit of friendship and love. Our vision is to reach out to the larger community in Arizona and be recognized for the contributions of our members, service to our community, and for our values. It is our hope that Tucson MED Club will provide future generations with role models and a community that promotes and cultivates our common values. Tucson MED Club recognizes the diverse religious and political beliefs of its members and therefore it does not promote or foster any sectarian, religious or political movements. The main principles, upon which the MED Club stands, are scholarship, charity, heritage, and Family. 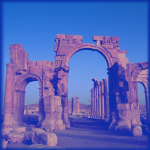 Tucson MED Club is a member of the Southern Federation of Syrian Lebanese American Clubs.